VBall Grip Liquid Ink Rollerball Pen features a dimpled rubber grip for comfort and sleek metallic barrel for writing control. 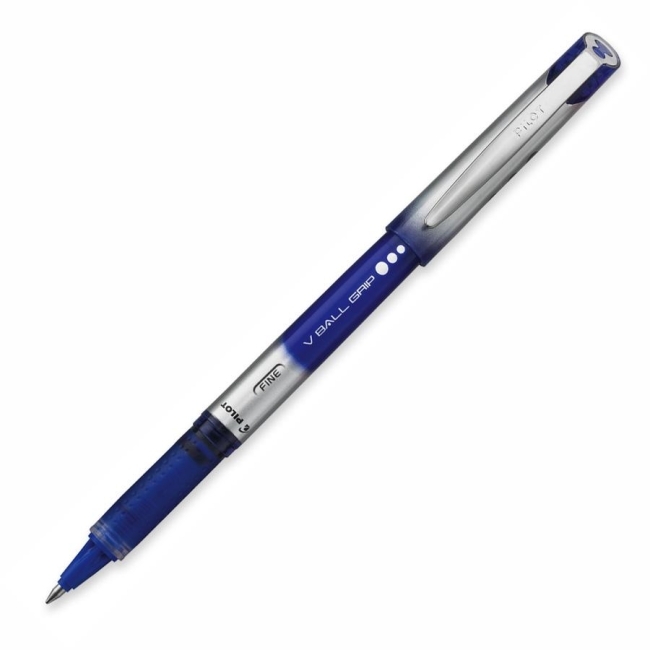 Liquid ink feed system delivers smooth, skip free writing with no smearing or blotting. Visible ink supply shows when ink runs low. Barrel matches ink color. Nonrefillable.